A storyteller, an advocate, a teacher, an islander, a friend … has left our world. Helen Scully, as most of us knew her, passed away in Vancouver this past July. Helen was many, many things … She could tell stories, her own name was one … Her entire life she had been Helen, until she applied for a passport to go travelling with her friend Nashreen … It was then that she had to find her birth certificate and found out her name was Ellen Ada Scully. That might answer a question of many, when they would hear us talking about Helen-Ellen, her old time friends never quite made the switch! Helen was an advocate, … on political issues, she once said she always voted NDP, as they were the ones who eliminated the charge on bathrooms! Yes, you used to have to pay to use a public toilet. She advocated for her community on the Hospital and Health Care Society Boards, as well as acting for the probation liaison for Attorney General’s office. She was a charter member of Masset’s Legion Ladies Auxiliary. She was the Village of Masset’s appointee on the early Island Museum Board. Helen was a teacher … A classroom teacher, par excellence, who always had the best interest of her students … She took on principals, School Trustees, and DND. Her kids went to court sessions and all manner of extra curricular activities; they learned about life as well as school. She complained once about getting difficult classes, thinking it wasn’t fair that she had earned easier classes but of course she got them because she could handle them. Helen was recognized by her peers in several ways … Her talents were honoured when she was elected by her union to the Integrated Study committee, and later appointed to the provincial Professional Relations advisory board. She was a major policy contributor to the composition of their representative assembly, even though it took 5 years to accomplish. Locally she was the first woman elected as a salary agreement Chairperson [in those days the local districts negotiated contracts]. She always spoke about all she did, was find the right people for the team. In Tayhayghen, Helen was a mentor to other teachers and was a sponsor teacher for all the provincial universities’ student teachers. Indeed she won the Agnes L. Mathers, outstanding teacher of the year award, and has had, for several years, an annual $1000.00 scholarship for Geo. M. Dawson students named in her honour. 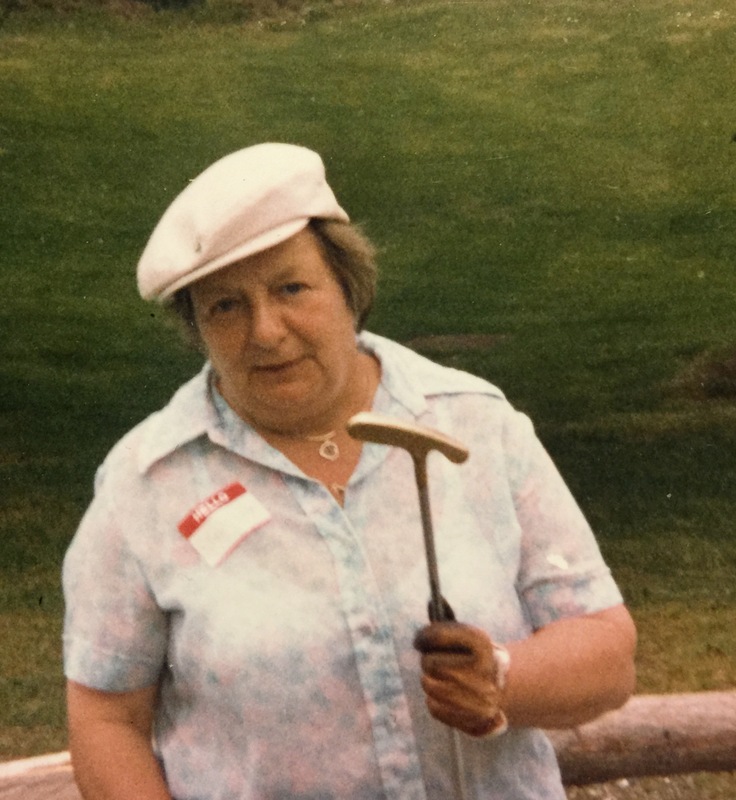 Helen was also a enthusiast: from gambling, to travel, to golf, among many other activities … She embraced her opportunities and made the most of them. Often she could get all working at one time, golfing for quarters on some foreign golf course. 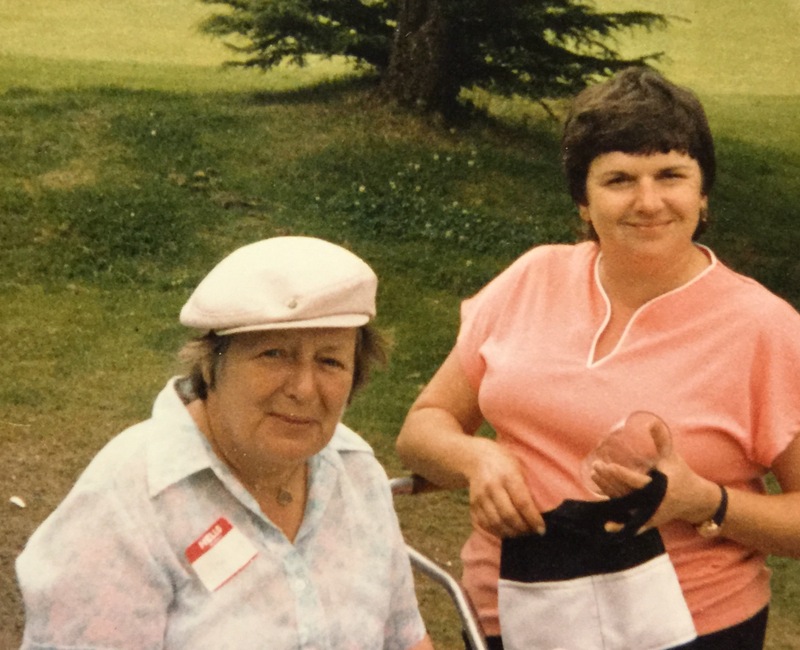 Helen spent part of 4 decades, teaching on Island and expected to retire golfing and gambling and studying French but health issues intervened and she felt forced to Vancouver. There she battled bouts of depression, arthritis, and heart issues … But tough as they come, she persevered and continued on for about 20 years. She so generously opened her tiny West End home, to her many Island friends. She kept connected by visits over long lunches, fresh Island food deliveries, the Observer, and long, long phone calls. She was a life long learner as she kept up with her French classes, joined the West-end Seniors Network to help with their volunteer delivery programs and to take computer courses. A diamond in the rough while on Earth and now a diamond particle circling this earth …. These islands are better, because Helen, lived here … Of a certain age it is hard to find anyone local to Masset who wasn’t taught by her and/or has a Miss Scully story. Perhaps we, on Island, might consider a day where we honour those who left their mark on us but are no longer here. May 1, was Helen Ellen’s birthday perhaps we could begin a new celebration … what makes us Islanders. Helen and Tanis Bryant Woods on the links. What a thoughtful, fitting and lovely tribute to a wondrous old soul and beautiful lady. Thank you. Thanks to you and Cathy … while sad it was fun to write, so many memories.